Since that day, Indivisible has released “Indivisible 2.0” or Indivisible On Offense: A Practical Guide to The New Democratic House. The guide has two major sections. One focuses on the strategy for working at the Federal Level, and one section focused on state level actions. Links to those two sections and some Introductiory thoughts are here. 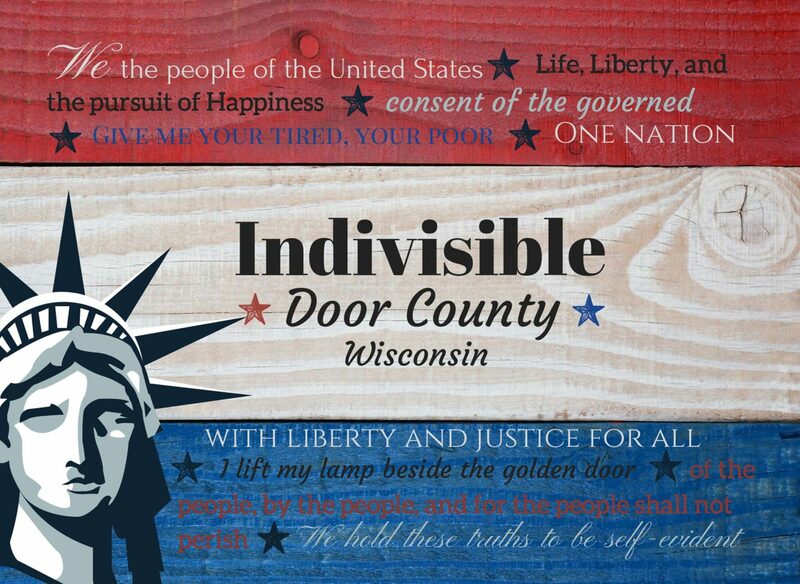 Indivisible Door County will be reviewing those documents and having several meetings to discuss our involvement in these intiaitves (as well as other ideas that we have ourselves) after we have a chance to disgest everythng and condsider the alternatives.